Obtaining life insurance coverage is important – especially for those who work in dangerous occupations or who may participate in hobbies that are considered to be risky such as skydiving. This is because the chances of an accident occurring may be higher than for other, average life insurance applicants. Because of this, it could become more challenging to find the life insurance coverage that you need if you are a skydiver. The good news is that by working with an independent brokerage that has access to multiple insurance carriers, you will be able to more quickly narrow down the life insurance companies that are more apt to take on skydivers for coverage. Even if you are in the best of health, a life insurance company may take a second look at you if you participate in what is considered to be an “adventure sport.” Activities such as skydiving, rock climbing, and scuba diving – as well as several others – are all considered to be risky in the eyes of a life insurance company. That is because of the potential dangers that participating in these hobbies can present – and this, in turn, could mean having to pay out a costly claim for the insurance company. 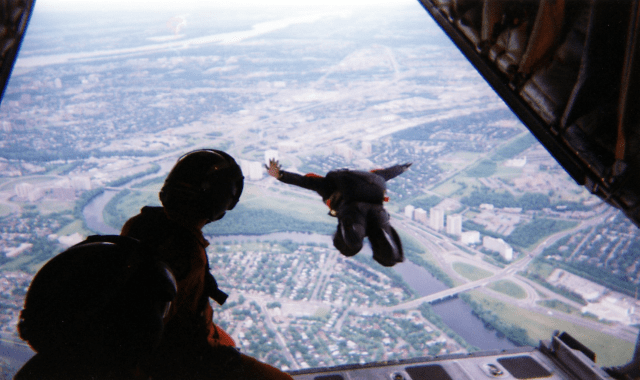 From the insurance company’s perspective, jumping out of an airplane from thousands of feet in the air can certainly present a risk to a company that is holding an insurance policy on you in the amount of 5-, 6-, or possibly even 7-figures. When you apply for a life insurance policy, there are a number of things that the insurer will want to know about you in order to determine just how much risk they may be taking on. For starters in , you will be asked to complete an application for coverage. This will provide the insurance carrier with basic details such as your age, gender, health and health history. There will also be questions regarding your family health history, as certain types of illnesses can be genetic. In addition to health information, the insurer also wants to know what types of activities you participate in. This includes job-related duties, as well as the hobbies that you have outside of work. For those who skydive, the insurer will want to know more information regarding how often you skydive and other specific details. For example, the insurance carrier will want to know approximately how often you skydive each year, as well as whether you are a skydiving instructor. This is because the cost of your policy can differ, based on whether you are considered to be a “recreational” skydiver or a professional. 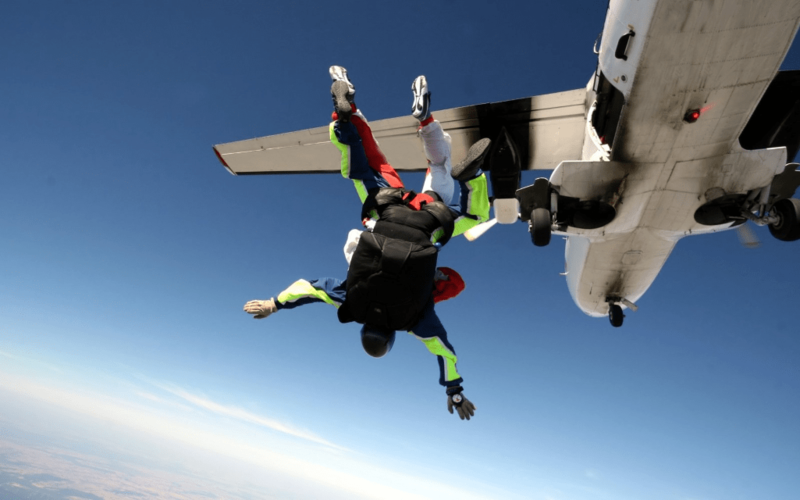 How Much Does Life Insurance for Skydivers Cost? There are a number of components that determine the price of a life insurance policy. These include the type and the amount of the coverage that you are purchasing. It also includes your age, gender, and health. Skydivers have several options when purchasing life insurance. These include both term and permanent coverage. Term life insurance provides death benefit coverage only, and because of that, it is typically a very affordable way to obtain the coverage that you need. This type of life insurance can be purchased for a set period of time such as 10 years, 20 years, or even 30 years – and in some cases, term life insurance policies can be converted over into a permanent policy in the future. Permanent life insurance offers both death benefit coverage, as well as a cash value component. While the cash value portion of the policy provides a way to build up tax-deferred savings, these types of policies are usually more expensive than a comparable term life insurance plan. When purchasing life insurance for skydivers, the cost of coverage can also be dependent on the number of jumps that you perform each year. Typically, a life insurance carrier will consider someone to be a recreational skydiver if he or she makes less than 50 jumps throughout the year. In some cases, you may also be able to get a discount on your life insurance coverage if you are a member of a skydiving club. Just like any other product or service that you may purchase, the cost of life insurance can differ – sometimes significantly – from one insurance company to another, even for the very same benefits. With that in mind, it is important to compare policies before you make a purchase. Doing so through an independent brokerage can help you to find the right carrier in top Life Insurance Carriers. While your premium could likely be lower if you did not participate in this sport, it is important to let the insurance company know that you are in fact a skydiver. This is because not informing the insurer of this fact could result in your policy being cancelled in the future – or worse, a claim being denied to your loved ones if it is determined that this information was left out of your application. While at first it may appear to be a challenge, finding quotes on the best life insurance for skydivers doesn’t have to be difficult – as long as you know where to look. No matter what your particular life insurance requirements are, the independent agents at Term Life Alert will be able to assist in matching you with the best life insurance company for your needs. When you work with an independent life insurance agency that has access to multiple insurance carriers, it can help you in narrowing down the providers that may be more apt to work with skydivers, as well as other higher risk applicants for life insurance coverage. This helps save you time and will allow you to compare more than just one life insurance policy option in order to decide which will be the best coverage for you and your family. If you need a term life insurance premium quote quickly, we can help. Simply fill in the information on the instant quote box. We work with the best term life insurance companies in the industry, and we can provide you with the details that you need within a minute – so that you can make a coverage decision today, or use the information to compare with your overall financial plan. Start now by completing our FREE instant life insurance quotes form and you will have immediate access to the best life insurance rates available.